At Kennedy School we respect and value the environment on a local and global scale. Each member of the school community has a responsibility to take action to use resources wisely and encourage others to do the same. Environmental education is embedded into our curriculum. Through studying environmental sustainability, students will be provided with a coherent perspective of the interrelationships between environmental systems and societies; one that enables them to adopt an informed personal response to the wide range of pressing environmental issues that they will inevitably come to face. The teaching approach is such that students are allowed to evaluate the scientific, ethical and socio-political aspects of issues. Greening the School continues on a larger scale as we have created a roof top garden, involving all children in organic planting workshops throughout the year with parent and community support. The children have regular organic plant sales to share with the whole community. They are able to sow, harvest and eat their own produce from our school gardens. Learning first hand about where our food comes from will encourage our children to waste less food. Waste reduction due to composting food peel and cores provides soil for our growing areas. 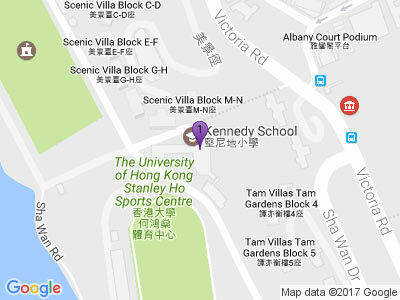 Our Kennedy community leads by example and, in 2015, Kennedy School received SILVER in the HK Green School Awards and SILVER in the HK Awards for Environmental Excellence.